The Alta Mirror is a pretty piece. It features a scalloped round frame made from wood. It is then painted in a glossy cream lacquer finish. But what makes this piece remarkable is the pinwheel shaped tiles of natural Capiz shells laid into the frame. This simple yet stunning piece would be a great addition to any room. Alone or in multiples, it is a perfect focal point for any design. 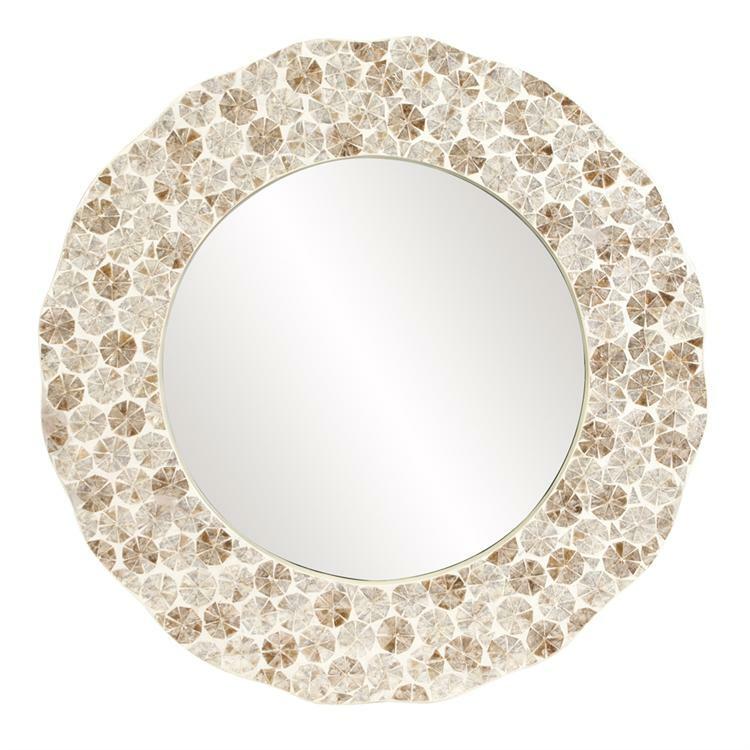 The Alta Mirror would be the perfect addition to your coastal, beachy, shabby chic and other decor styles. Customizable for larger orders.